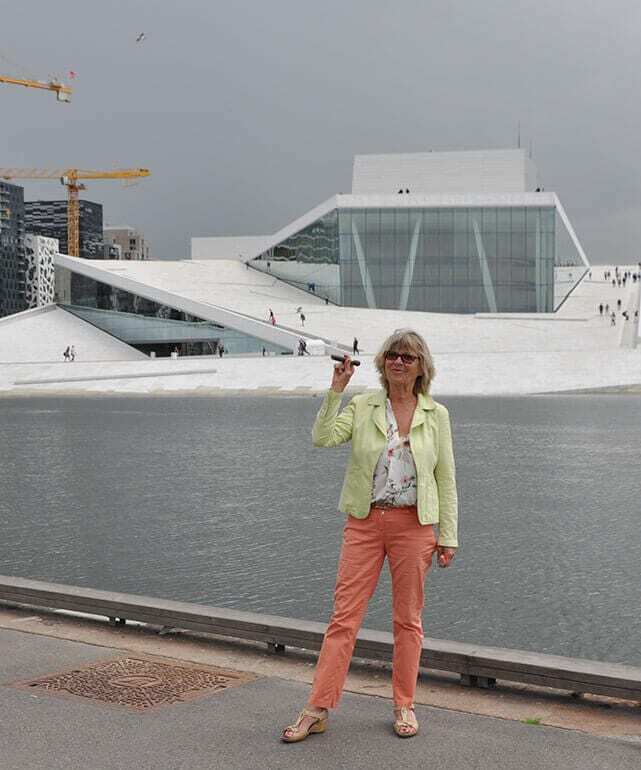 Accompanied by a Habano I stroll on the rooftop oft he Oslo Opera House. The spectacular postmodern structure nestles into the pictureque Oslo Fjord of Norway’s capital city like a stranded iceberg. The legendary Deep Purple song “Smoke on the Water” is running through my head. As the sun sets I’ve almost finished smoking my Montecristo No. 4 (NOK 137.00/approximately EUR 15.30) and, over snow-white marble slabs, I reach the highest point of the provocative temple of the muses. Piano music by Edvard Grieg, the great Norwegian composer, subtly penetrates outward – a surprising contrast to the virtually rocky avant-garde architecture of this opera house that sits directly on the waterway. 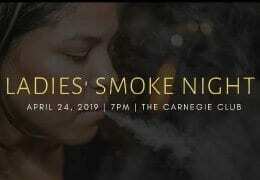 Precisely if you’re a true free spirit, you should take a relaxed, fine- smoke stroll in the city of the Nobel Peace Prize and pay tribute to the peaceful coexistence of smokers and non-smokers. This is how I simply let myself drift in the trendy Oslo Barcode Project: in front of a skyline of surrealist skyscrapers and a constantly moving Norwegian Sea. Only a brief rain shower sends me onward to the exclusive promenades of Aker Brygge and Tjuvholmen. Here, there are tempting fine restaurants with heated, semi-covered outdoor terraces. In the onetime shipyard, which has been refurbished in an exemplary way, I come to generously designed open-air areas. Here you can definitely find a pleasant place for your fine smoke. Directly by the opera there is a likewise fine restaurant terrace to enjo a fine cigar. This one appears to be a revelation, yes, a gentleman’s agreement, in regulated terrain to establish what one would call a comfort zone. Here I take heart. The Norwegians, who appear to be tolerant and wealthy, also seem to be implementing rigid laws for the protection of non-smokers. It is not rare that these laws are adjusted to the needs of passionados, which I determine on my trip through the capital city of the small Scandinavian state, reassured. The descendents of the Vikings, once a restless sea folk, today like to indulge in the pleasurable sides of life. 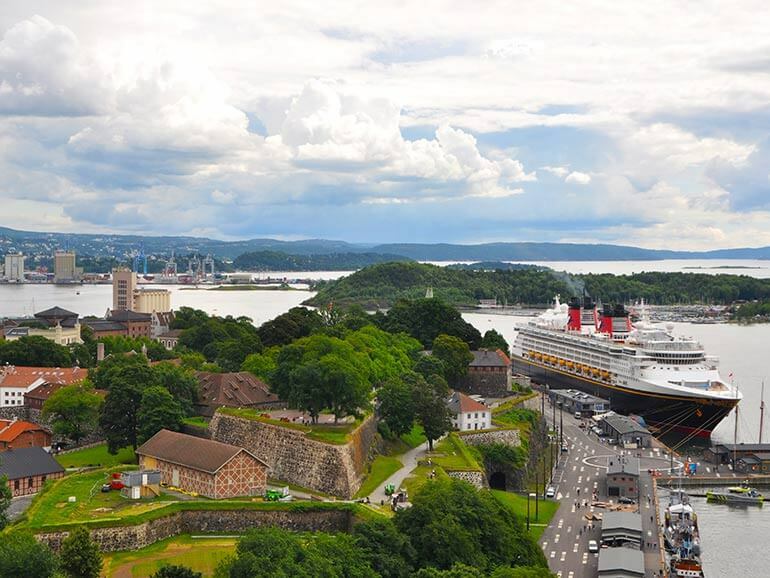 In Oslo itself there may only be one official cigar lounge (Augusto Cigars), but in the extensive green areas, and around the Oslo Fjord, there are numerous restaurants and hotel bars that have exclusive terraces. Magic moments on the water, perpetual ice, and a lot of snow – that’s the lifestyle feeling in the Kingdom of Norway. Here you can enjoy your fine cigar, cozily rugged up, with a view of the Olympic ski jump Holmenkollen, high above Oslo. Yet, in Norway alcohol and tobacco come with high luxury taxes, penalized like public enemies. In the wealthy country of five million inhabitants, in part, premium cigars cost twice as much as in other European nations. 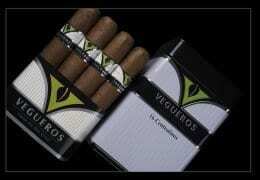 Considering that, friends of the cigar are welcomed with top travel comfort and Norwegian friendliness. 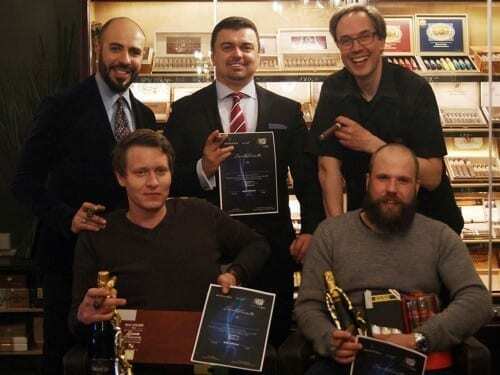 The best examples of this are the two renowned tobacco specialist shops that have settled in Oslo. Bjørg Svenøe has owned Sol Cigar for more than 10 years. Her wonderful tobacco specialist shop with over 100 years of tradition is located opposite the Royal Castle at the edge of an expansive park. 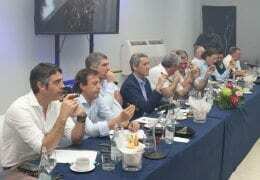 Thanks to this privileged location, cigar lovers from all over the world come to visit her. Above the large walk-in humidor hangs a noble Davidoff sign. “We are the exclusive depositary in Norway,” says the likeable Svenøe, who works in a team with three female colleagues. They are all blonde, of course, and beam at their customers with blue eyes. The charming, young employee Marte Gunnufsen, a passionate pianist and event artist, likes to smoke CAO and Davidoff cigars. “Our experienced team of women likes to exchange information and ideas at tastings, which means we can give our customers optimal advice,” says Svenøe. She is very proud of her top selection of Habanos. 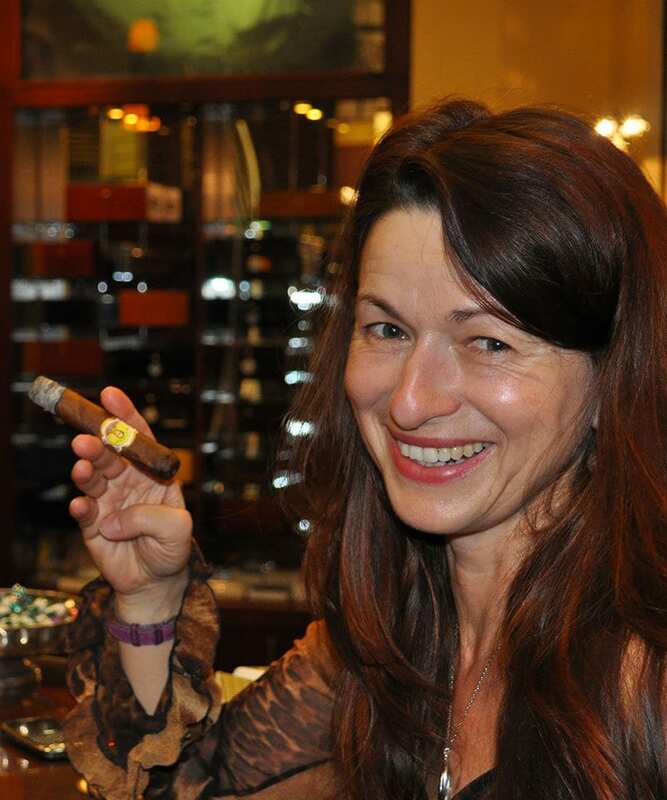 “Our name, Sol Cigar, originates from a once coveted Cuban cigar brand,” says the Norwegian in fluent German, and draws on her Ramón Allones Specially Selected (NOK 178.00/~EUR 9.00). 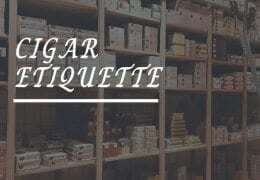 In the elegant, spacious tobacco specialty shop you feel comfortable right from the beginning. So the nostalgic sign that says “Cigar smoking is calming” is also appropriate. Alongside her declared focus on fine Habanos with an exquisite selection of limited editions, Bjørg Svenøe also carries premium cigars such as Camacho, Macanudo and Toraño. “At the moment, the Carlos Toraño Reserva Selecta Churchill (NOK 187/~EUR 20.60) is very popular; AVO cigars also sell very well. Bjørg is particularly happy about this because she has organized exciting events with the gran maestro Avo Uvezian. “His daughter paid me a surprise visit here in the shop not long ago,” she tells me. “She’s married to a Norwegian doctor and lives in the picturesque town of Svolvær. 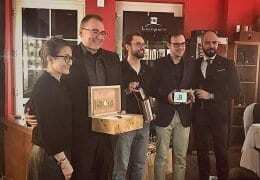 The dynamic proprietor of Sol Cigar maintains a good relationship with the second most important tobacco specialist in Oslo. This shop caters for a different clientele. 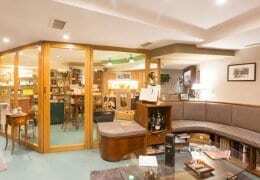 It is called Augusto Cigars and houses the only cigar lounge in Norway. 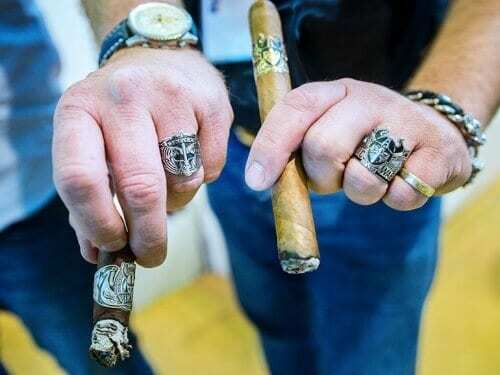 Frederik Strømme Legernæs, manager of Augusto Cigars, emphasizes, “We stock up to 80 percent premium cigars that aren’t manufactured in Cuba.” The law graduate has been in the tobacco business for 15 years and was responsible for making cigars from Honduras, the Dominican Republic, Honduras and Nicaragua popular in Norway. His most important brands are Eiroa and Padrón. The top brands Nicarao as well as Santa Clara Cigars from Mexico and Don Pepin Garcia likewise sell well. “Norwegians love excellent restaurants and good wine and like to try new things. With that, the doors were open to me. The La Aurora Cameroon series (Robusto: NOK 107.00/~EUR 11.80) was one of the first non-Cuban cigars that we successfully established.” His other trump card: the 35-year-old manager received the exclusive rights to represent Dunhill in Norway. 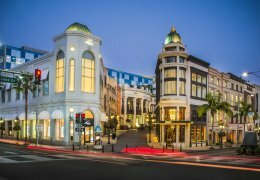 Augusto Cigars is situated in the catchment area of Karl Johans gate, Oslo’s grand boulevard and also the lively harbor. That’s why many cruise-ship tourists visit Frederik. 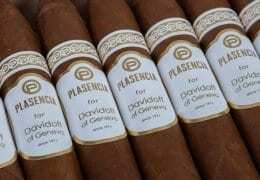 Legernæs continues: “Our best-sellers are Padrón 2000 (NOK 154.00/~EUR 16.90) and, of the Habanos, as a special feature, the La Gloria Cubana Medaille d’Or No. 4 (NOK 97.00/~EUR 10.70).” When a customer asks for a select specialty, Legernæs likes to offer an Alec Bradley Texas Lancero (NOK 280.00/~EUR 30.00). 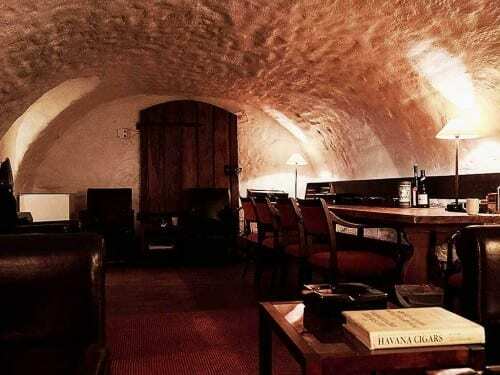 Entering the venerable 16th century building, you’ll find a large, elegant lounge in the basement. “Club members can come around the clock; all smoking guests from abroad are welcome during opening hours,” Legernæs points out. He proudly shows me his treasure: the Padrón 50th Anniversary Humidor filled with 50 cigars (humidor price: NOK 60,000/~EUR 6,615; price per stick: NOK 995.00/~EUR 109.00). 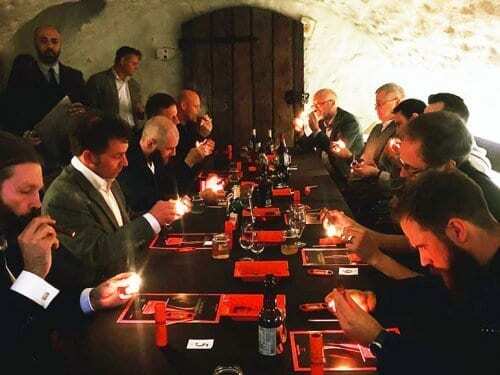 “Øystein Kleven, owner of Augusto Cigars, maintains good contact with the Padrón family,” Legernæs tells me, and is pleased that, through this friendship, cigar lovers from Norway, a small unspectacular market for premium long fillers, are also able to enjoy a sought- after rarity.